What if I forget my password or email? How do I change my email or password on my account? Sign in with your original information, click “Your Account” link on the top right of the page, then click “Login & Password Info” and enter the new information. Next, click "Submit" and you will be done! Then your new email address will receive an email with a link to confirm the email change. Can I sign into my account if I forgot my password and no longer have access to my listed email address? No, you will not be able to login without your email address or password. To retrieve your email and password, please call our Customer Service: 1-800-536-7111 or email our Customer Service: [email protected] We ask for these methods to protect your information from being accessed by others. We take the security of your information very seriously. We employ encryption technology and use the latest SSL (Secure Sockets Layer) technology - the industry standard for encryption technology. Why didn’t I get a forgot password email? If you initiated a password reset but haven't received an email, check your spam, or bulk mail folder. If you still can't find the email, call our Customer Service: 1-800-536-7111 or email us: [email protected] To ensure future emails will always make it to your inbox, please add LensDirect.com to your “Safe Senders” or “Trusted Sites” list. How do I contact my dedicated account representative? If you have an account with us, just sign in to see the contact information for your dedicated account representative. If you do not have an account with us yet, don't worry! Just click here to sign up for an account and you'll be welcomed by your dedicated account representative shortly after. You can also call our main line at 800-536-7111. There is always someone there waiting to help out! 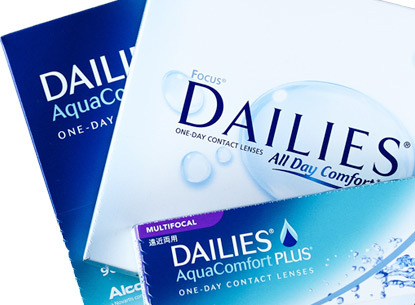 To ensure you will never run out of your contact lenses, you can sign up for our AutoRefill program. We will deliver your contacts automatically at whatever interval you'd like. In addition, you will receive $5 off your first order and 5% off every order. There are also no hassles and YOU’RE in charge of it! How to sign up for AutoRefill? When you are at the checkout, you can choose the Autorefill option and how often you want them. If you missed it during checkout but still want the savings, don’t worry! A dedicated account representative is waiting by their phone and email to take the call. Just email or give them a call and they’re always happy to assist! To update your billing information login to your account and click the link on the left of the page that says "AutoRefill" to edit your payment info, or add a new payment method. How to cancel my AutoRefill program? To cancel your AutoRefill program, login to your account and click the link on the left that says “AutoRefill.” Next, click “View” on the AutoRefill order you would like to cancel. Click “Cancel AutoRefill” on the bottom of the page. What should I do if I need help with my AutoRefill? Your dedicated account representative is waiting to help! You can also call our main line at 800-536-7111. LensDirect.com makes shopping online easy and quick! Search for the product you are looking for either by typing it into the search bar or by manually looking for it in our dropdown boxes. Once you found your item, click on it and put in your prescription in the Enter Prescription section if the product requires it. Also make sure you have the correct quantity. Once you click Add to Cart, you can continue shopping or Proceed to Checkout. Put in your billing and shipping information into the boxes and triple check to make sure everything is correct. (We’re always here to edit your order if you ever need it!) You can also sign up for AutoRefill to save money! Lastly, make sure the shipping method chosen is the one you want so you don't go a day without your order. When you are all finished, click Submit Secure Order and you will officially be a part of the LensDirect Family! We’re so happy to have you. How to order by phone? To order by phone, please call our toll free Customer Service line: 1-800-536-7111. We are available 24 hours a day, 7 days a week. How do I order if I wear a different brand in each eye? If you wear different brands in each eye, you can choose contacts for one eye at a time. On the product page, choose the quantity of "Left Eye" as zero and enter the parameters for your right eye. When you are done with the right eye, navigate to your left eye brand. Enter the parameters for your left eye and select zero as the quantity of "Right Eye". How can I modify/cancel an order? You can add a coupon on the Payment page. Once you have proceeded to enter your billing information, you will see a box to enter your coupon code. Enter the coupon code and click "Apply", the coupon discount will adjust your order total. If you're having difficulty redeeming a coupon code, please contact us for help. What is UPP Pricing & why can’t I use my coupon? UPP stands for Unilateral Pricing Policy. This restriction does not allow us to offer discounts, rebates, or incentives on certain products, because their price is fixed by the manufacturer we receive them from. For this reason LensDirect coupon codes are not valid on products that include UPP pricing. For a list of UPP products please click here. Prescription products ordered will not incur a sales tax. Please note that non-prescription products such as sunglasses and accessories ordered may incur a sales tax. We love helping you make your friends and family smile! You can purchase an E-Gift card from the “Accessories” tab, or simply click here. There are two ways to redeem your gift card. You can either add a gift card code on the "Payment" page once you have procedded to check out, or redeem the giftcard balance and add it to your account credit in your account. The style I want is out of stock. Is it gone forever, or will it be restocked? To view the status of your order login to your account, and click My Account at the top of the page. Click "Recent Orders" to see what stage your order is on and where it is in the journey to you. You will receive an email notification with a tracking number once when your order is shipped. Please allow 24-48 hours for the mail carrier to update the tracking information. Why should I upload my prescription? Speed up your order process by uploading your prescription here. By uploading your prescription it can be validated earlier which means your order will be ready for shipment sooner. You can also send your prescription by email, [email protected], or fax it, 800-772-5367. Why am I being charged a processing fee? The 7% processing fee on each order offsets a portion of the cost increases related to verification of prescriptions with your eye care provider, fuel surcharges on shipping, and return processing. Will my lenses always stay the same price? Unfortunately, prices are subject to change. However, we always like our customers to come out on top! We try to have as many deals and coupons to help with the price. Keep an eye out for those or ask your dedicated account representative about how to save a little bit of money! You can also check out our AutoRefill program to save $5 off your first order and 5% off every order. Yes. We require a valid contact lens prescription for every order. On February 4th, 2004 the “Fairness To Lens Consumers” act went into effect. Under this Act, contact lens sellers must verify that American patients have a contact lens fitting, and that the prescription is not expired (verification). This Act only applies to US customers. How do I order if I don’t have a copy of my prescription? No worries, you can always send your prescription later. You can now upload your prescription here, fax us your prescription 1.800.772.5367, or email it to [email protected] We are also authorized to call your eye doctor if you provide us with the doctor's phone number. How does the confirmation of my prescription work? LensDirect requests confirmation of your prescription from your doctor, he/she is legally required to confirm the prescription within 8 business hours. If you doctor fails to respond to our request within 8 business hours, the law allows us to assume the prescription is valid. Your doctor may NOT require you to sign any form of release or waiver prior to confirming your prescription. We are allowed to contact your doctor by phone, fax or email. We generally use Fax and/or Phone to request confirmation of prescriptions. If you choose to upload your prescription, please allow time for our customer service representatives to validate it. ADD – This is just for bifocal or multifocal lenses. It will have a + (plus) symbol or be labeled high, medium, or low. CYL - Cylinder (just for toric or astigmatism contact lenses). Is between 0 and 180 and always ends in a zero. 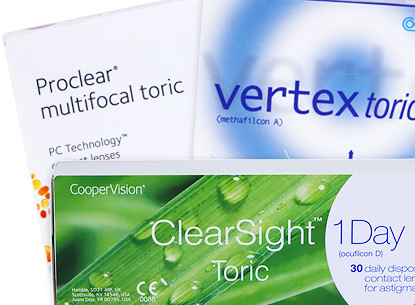 AXIS - just for toric or astigmatism contact lenses. Is between 0 and 180 and always ends in a zero. Do I need to provide you with my doctor’s phone and fax number? It is not required for you to provide your doctor’s information. You can upload your prescription, fax, or email the prescription after you place your order. If you would like LensDirect to call your doctor on your behalf please provide your eye doctor’s phone number. A minimum of 1 year, and 2 years in many states. Your doctor may place a shorter expiration time on your prescription, but only if there are documented medical reasons for doing so. If your prescription has an expiration date, you may want to ask your doctor to explain the medical reasons he/she placed such a restriction on your prescription. We accept both credit cards and debit cards. We accept Visa, Mastercard, American Express, Discover and PayPal. We also accept LensDirect gift cards. LensDirect.com offers FREE Standard Shipping (US addresses) on all orders above $49.00. LensDirect.com offers multiple USPS and UPS Shipping (US addresses) on all orders. The services available will vary based on which service best serves your local area. It may take up to 8 business hours for us to verify your contact lens and eyeglass prescription with your eye doctor. Once verified, most orders get shipped within 1 business day. If you choose to upload your prescription, you are more likely to have your prescription verified faster. *Torics, Colors, or Multifocal lenses may take some extra time to be shipped to you. What happens if my item arrives broken or defective? If any item you receive is broken or defective, please give us a call at 1-800-536-7111 or email us at [email protected] so we can send you a replacement free of charge. Does LensDirect accept vision insurance? No, unfortunately Lensdirect.com does not accept vision insurance. All orders must be returned within 365 days of delivery of shipment. You may return any unopened boxes or glass vials that are in the original condition purchased from Lens Direct for a store credit or refund. We are currently unable to accept returns of opened items not in original condition, or items returned more than 365 days after delivery. Please call our customer service: 1-800-536-7111 or email our customer service: [email protected] to begin the return process. LensDirect.com contact lens warranty: We guarantee that all our lenses come in factory sealed containers. If you have a problem with any lenses purchased from us at any time, please remove the lens immediately and let us know. We will process your return as quickly as possible. Follow the steps outlined in our return policy. If you feel that your lenses are defective, please enclose a photocopy of your prescription when you return the lenses to us. If your lenses are determined to be defective by the manufacturer, we will issue a store credit. Within 365 days of delivery of a shipment, you may return any unopened merchandise that is in it’s original condition purchased from Lens Direct for a full refund. 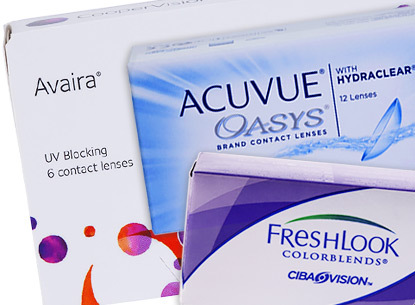 At LensDirect.com, we’ve been providing customers with discount contact lenses for over twenty five years. Throughout our company’s history, we’ve learned so much about what it takes to be a leading contact lens retailer. Our customer service line and fax are toll-free and for local and international calls. All customers who order replacement contact lenses must have a valid prescription under the applicable provincial, state and/or federal laws. Your order must be for the same contact lenses that you are already successfully wearing. We accept no responsibility for our customers' lack of suitability to wear contact lenses. We rely on you to input your latest prescription through the online form, fax, or verbally over the phone. All customers have not been advised by a doctor not to wear contact lenses, or to stop wearing the prescribed contact lenses. We reserve the right not to supply contact lenses if we feel that the selected lenses are not in accordance with the specifications provided by your optician or optometrist, or may put you at some risk. By completing the online order form you agree to accept shipment for the selected product, and agree to pay by the method indicated on your order form. By completing the online order form you agree and accept that you are the person responsible for the credit card (when a credit card is applicable) and accept responsibility for all charges made on our site with your card. We reserve the right, at our discretion, to charge your credit card if we have shipped you an order, and the invoice is not paid within a reasonable amount of time. Your privacy is our main concern. That's why we will not disclose, rent or sell your email address or other contact information to any other company or service. We collect certain information in order to process your order and notify you when it is time to refill your order. All your information will be maintained with strict confidence. At LensDirect.com, our goal is to always make the customer happy when it comes to price. 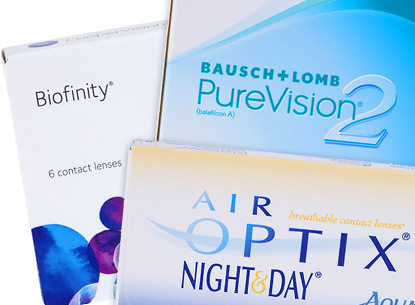 So, if you happen to find a lower price on your contact lenses, we'll match it. To get your discount, simply call us or email us at [email protected] after you complete your online order, and we'll refund the difference. Please include your order number and a link to the lower price. Please note that we will not price match promotions, only on a per box price. Also, we will only do price matching on reputable retailers. 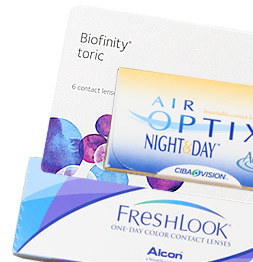 The retailers that we do price matching for are: 1-800CONTACTS.com, VisionDirect.com, Walgreens.com and Coastal.com. The link or social post that you share in your account is unique to you! Once a purchase has been shipped using your link, you will receive credit in your account as long as they are a new customer to LensDirect! How do my friends receive $10? Once they visit our site using your link and create an account, the $10 credit will be in their account balance page. To redeem account credit, add to your cart, proceed to checkout and there you can "apply account credit" towards your next purchase! What can I purchase with account credit? You can purchase anything available on the LensDirect site except for giftcards. How much account credit can I receive? There's no limit to how much you can receive, share with everyone you know!.